Almost everyone uses infrared remote controls at home: to control your TV, your air conditioner, etc. We naturally come to the idea of using one Android smarphone or tablet to replace these multiple remote controls. However, developing and using infrared on most of the Android devices requires the use of external hardware. How to do it? Perhaps the easiest way is to follow what Irdroid tells us. Irdroid is a universal infrared remote control for smartphones, tablets and other devices, working with the Google Android operating system. 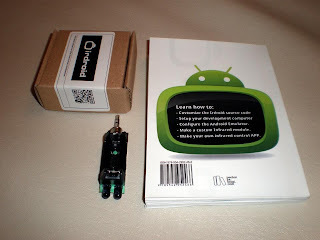 To control your favorite TV, STB or DVD, you need to download the Irdroid APP for Android and to purchase a Irdroid module.. 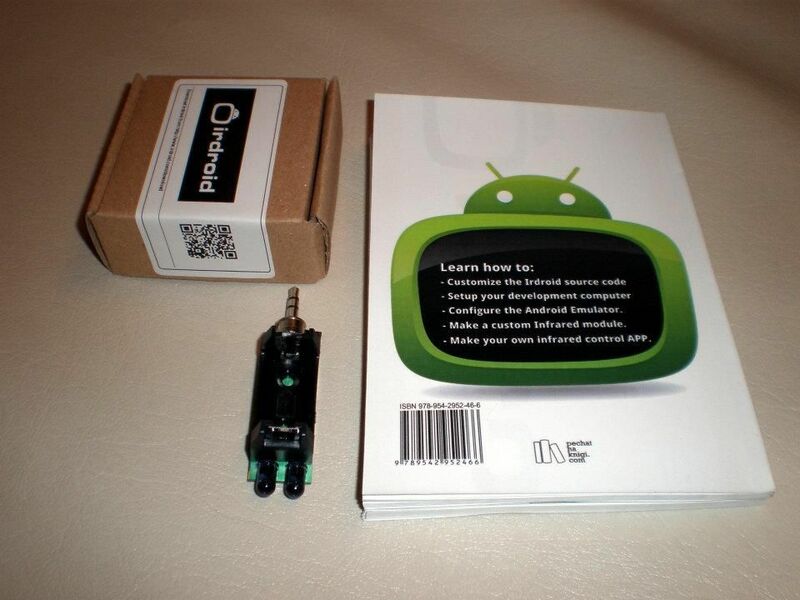 The Irdroid application is available for download from the Android Market and from Appslib (for android tablets). The module’s main task is to amplify the signal, generated from the app and to provide an IR interface to the relevant Android device. 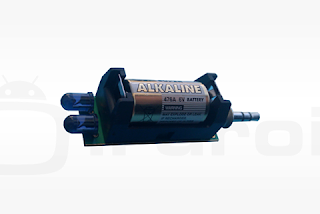 The active amplification is necessary, because the output signal from an Android device is not powerful enough to light up IR LEDs, as well as to provide a decent remote control range. The module practically amplifies the generated waveform from the app and emits IR Light via the IR LEDs at 940nm wavelength. The input of the module is provided by the Android Device 3.5mm Audio jack. The Left and The Right audio channels are used, (GND) is not connected. The amplification is done using an inexpensive LM386-M1 mono audio amplifier which is configured for a gain of 200 times. This configuration assures enough power @ 6V in order to achieve a remote control distance of about 10 meters. Тhe Irdroid app is responsible for generating a 19kHz audio tone. The infared data is modulated on the 19kHz sine wave. 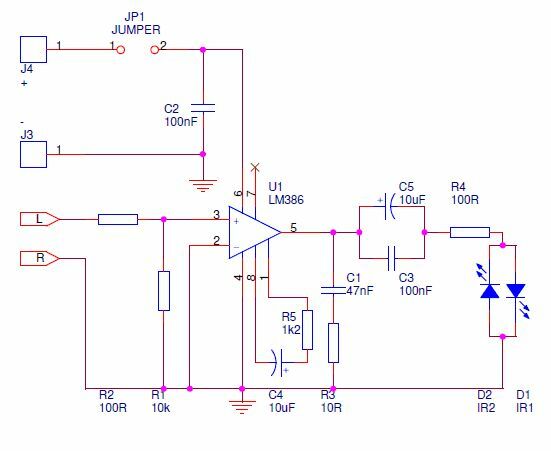 The signal is amplified via the LM386 audio amplifier and rectified via the two IR leds, doubling the frequency to 38kHz. The first IR led rectifies the positive halfwave of the audio signal and the second IR led the negative halfwave of the signal. 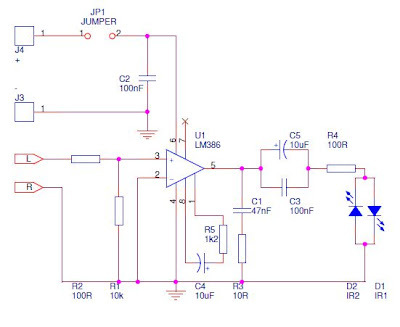 The LM386 mono audio amplifier is configured to amplify the signal 200 times so that the radiated IR light power is enough to achieve a remote control distance of about 10 meters. You could use the schematics and the production files to produce boards using your favourite printed circuit board manufacturer. In most of the companies offering pcb manufacturing service you will find out that they could also solder the SMD components for you, as well as to build complete modules. Copy paste from irdroid hand book..! If wa wondering how to make the application not only for android then I advise you to this site http://www.nixsolutions.com/services/custom-software-development/mobile-development-services/. Very convenient and easy. You can easily understand all the basics and do your own thing with the nearest time. Also, many people have come to expect a certain level of privacy by owning a mobile phone instead of a landline, and by putting your name and number into one of these online directories gives up much of that expected privacy.